Blu-ray.com said, "I have not seen anything like The Seventh Seal yet. A perfect presentation. Very highly recommended." 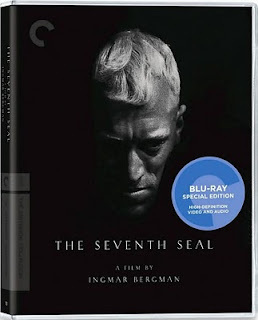 The Seventh Seal is a 1957 Criterion Collection film by the legendary Ingmar Bergman, chosen by Sound and Vision Magazine as one of the best blu-ray movies of 2009. A black and white film in Swedish with English subtitles, it featured Max von Sydow, Gunnar Björnstrand, Ingmar Bergman, Erland Josephson and Bengt Ekerot. An iconic film, it one of the most important movie imports of the 1950s art-house period and it had a huge cultural impact. There are scenes which are considered to be important moments in the movies. James Monaco said in How To Read a Film, that The Seventh Seal "had a symbolism that was immediately apprehensible to people trained in literary culture who were just beginning to discover the 'art' of film, and it quickly became a staple of high school and college literature courses... Unlike Hollywood 'movies,' The Seventh Seal clearly was aware of elite artistic culture and thus was readily appreciated by intellectual audiences." The Seventh Seal won a Special Jury Prize in 1957 at the Cannes Film Festival and, more recently, landed on Sound and Vision Magazine’s 2009 list of the 10 top blu-ray movies, which was where I discovered it. The story? The Seventh Seal is about a knight returning disappointed and tired from the Crusades to a plague-ridden land. He meets Death on a beach but puts him off by challenging him to a game of chess. The game of chess takes place throughout the movie as the knight winds his way home, searching for the meaning of life. This film is not a fantasy movie; it is about the search for God and the dread that He may not really exist. The set is magnificent, with its medieval world of the Crusades, complete with knights, jugglers, taverns and so on, but it is really a philosophical movie, perhaps suitable for those 14 years old and up. This movie is not for everyone. First, you have to deal with the subtitles. Until recently, I have not enjoyed movies with subtitles. The Seventh Seal, however, was okay. Then there are the themes of death, violence and religious fanaticism. I did not find the violence anywhere near as extreme as many of today’s movies but it was still there and that, coupled with the religious fanaticism, was disturbing. The blu-ray? As you saw from the quote at the top of this page, Blu-ray.com was more than a little impressed with the transfer. They also said, “Contrast and detail…are spectacular. The close-ups in particular look unbelievably strong…the color-scheme is the best I have seen on a Criterion disc thus far - the blacks are rich and unbelievably lush while the whites are gentle are natural looking. Additionally, film grain is fully intact. The actual print is also notably healthy - I did not detect any debris, scratches, dirt, or stains to report in this review. Simply put, this is a fantastic Blu-ray release!" I am no quality expert but I know what I like and I have to agree with this review. Throughout the movie, I found myself thinking that this black and white film was amazing to look at. Over and over again, words like sharp and beautiful occurred to me. The numerous critics on Rotten Tomatoes rank this movie a 93 percent. On Amazon, 78 percent of the customer reviewers on Amazon gave The Seventh Seal five-stars. Personally, I am not sure how to rate this movie. Because of its cultural importance, I am glad we watched it. I am still thinking about it and I am finding the blu-ray special edition features enlightening. The Seventh Seal is definitely an unusual, interesting and thought-provoking movie. What do you think, is it for you? Order your copy of The Seventh Seal on blu-ray or DVD from Amazon. 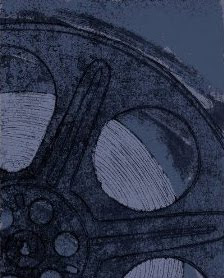 Buy the book How To Read A Movie from Amazon. Read the best blu-ray movies of 2009 list.